Bitcoin is a cryptocurrency, a form of electronic cash which is based upon the Blockchain technology. Did you know that Cyptocurrencies are deemed as the future of Currency? And is one of the fastest ways to make money in the online world at the moment. However, what exactly is Bitcoin? If you are new to this field or have just heard of Bitcoins, then there’s probably a lot of questions on your mind right now. This training series is to help you understand all about Bitcoin and Cryptocurrency. Bitcoin is a form of digital currency. In 2013, this digital currency suddenly shot up from $13 to an unbelievable price of over $1000. Its popularity soared after that. Bitcoins are in fact a kind of electronic money. The first cryptocurrency started circulating in 2009 and over which the government or traditional banking protocols have no control of. In traditional currencies, the decision regarding the amount to be printed depends heavily upon factors such as inflation, and is governed and regulated by central bank. Contrary to this, there is no central authority to regulate Bitcoin and other cryptocurrencies’ supply and transactions. It is the people’s confidence in this digital currency that decides its value. So the more people who believes in it, the better the demand and higher the price will go. You can use Bitcoins to purchase things from people who accepts these currencies. Moreover, since these coins are digital, they can even be transferred over the internet through the proper software, thereby leading to a successful online transactions. Bitcoins are a quite attractive proposition if you are looking forward to the settlement of international transactions, but hate being plagued by the exchange rates or bank charges. If you don’t want to read then watch the below 3 mins video to understand History, Growth and Future of Bitcoin and then scroll down to know How does Bitcoin work. It is essential to understand where Bitcoin and digital currencies come from in order to understand what it has in the store for you in the future. The first Bitcoin transaction was conducted in 2009 between Mr.Satoshi and Hal Finney, a cryptographic activist and developer. In the same year, an exchange rate was published for this electronic currency with value against US dollars at 1309.03 BTC per dollar. In 2010 a truly historic event took place when 10000 Bitcoins which was worth $25 at the time was spent on two pizzas, which was delivered by Papa John’s. It was one of the first transactions that involved a tangible product. Today, that amount of Bitcoins would be equivalent to at least 60 Million dollars. A range of events geared up in 2011, including significant ones like, Bitcoin becoming par with the US Dollar, an offer to sell a vehicle for Bitcoins, the opening of exchange markets with respect to the British Pound Sterling and Brazilian Real, and so on. From 2013 onwards, space travel could be conducted in exchange of Bitcoins by Virgin Galactic a company that belongs to Richard Branson. At the end of 2013, Bitcoins and other digital currencies suddenly exploded in price, thanks to the power of the media and the internet. The Popularity of Bitcoins and other digital currencies bloomed from there. Again if you don’t want to read, no problem watch the below video to know how does bitcoin work. Bitcoins are actually generated by computers online by dealing with difficult math tasks. This process is more widely knows Bitcoin Mining. The math tasks in the Bitcoin mining are programmed to progressively increase in difficulty. This means it will become more and more difficult to ‘mine’ Bitcoins over time. Bitcoin can be compared to Gold. Like gold, Bitcoin cannot simply be created arbitrarily. Gold must be mined out of the ground, and Bitcoin must be mined using digital tools. The total amount of Bitcoins that will ever be mined is capped at 21 Million Coins. Because of this very unique arrangement, no central bank has control over the flow of Bitcoin.Also no one can manipulate its value which is already in circulation. All the computers in the network are coded to be used to monitor and verify the validity of each Bitcoin that is mined and all the transactions between users. Bitcoin are mined from Blocks, mining of each block takes on an average of 10 Mins.As of now each new Block generates 12.5 new Bitcoins. In 2013 it used to be 25 Bitcoins in 10 Mins. Once the number of Blocks mined reaches 210000 blocks, the Halving happens. Halving is a kind of reset in the system dividing it into equal parts.The takes about every 4 years reach 210000 blocks to be mined. The next and third halving will occur in 2020. 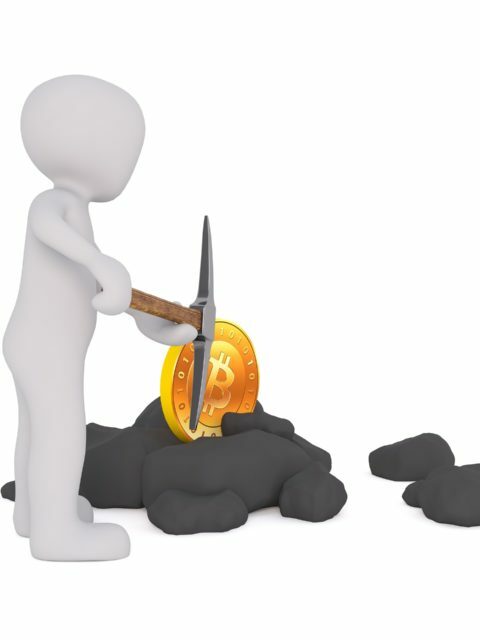 First Halving happened in 2012 with a Mining Capacity of 6400 Bitcoins per day. 1440 / 10 mins for mining 12.5 Bitcoins = 1800 Bitcoins per day! The next and third Halving will happen in 2020 with a Mining Capacity of 900 Bitcoins per day.As I mentioned earlier it becomes more and more difficult to ‘mine’ Bitcoins over time. The Halving will go up to year 2140, by then the entire 21 Million Bitcoins will be mined. This is why more and more Bitcoin miners are building powerful computers just for the use of mining. Bitcoin can be bought, sold or traded with real money in a lot of online exchanges. As we have seen in Lesson 2, we know how much 1 bitcoin costs. One of the biggest advantages of Bitcoins and digital currency is that, it can be used in international transactions without any bank charges or exchange rates and the fees are so small it’s almost negligible. There is more to learn than just knowing what is Bitcoin and its basics, join GeeKey to get notified as soon as new lesson gets added! 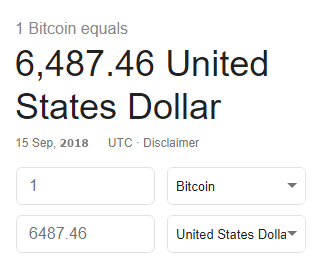 Do you want to check the current Bitcoin Value, Here you go! You can even do the Secured Currency Exchange Here! Anyways we will learn more details in the upcoming lessons!